​Chelsea midfielder Cesc Fàbregas has spoken out in support of Spanish teammate Álvaro Morata after the striker's emotional response to his winner against Vidi in the UEFA Europa League. The striker has come under fire from several fans and critics after a disappointing run of form that began towards the second half of last season and appeared to be visibly upset, despite finding the net. However, compatriot Fàbregas insisted this week that the striker will return to form. Quoted by ​Goal, Fàbregas said: "Álvaro will [remember this game] I’m sure, it was very important for him. You can feel he was trying to be a little bit nervous about the situation. He was stressing out a bit, so the goal will do him a lot of good." Morata's goal was his second in ten matches in all competitions this season. The Spaniard, who has just one league goal from seven matches, had six by that stage in his last campaign, but after a succession of injuries and a poor run of form, the striker finished with just 15 from 48 matches in all competitions - leading many supporters to lose faith in his abilities. 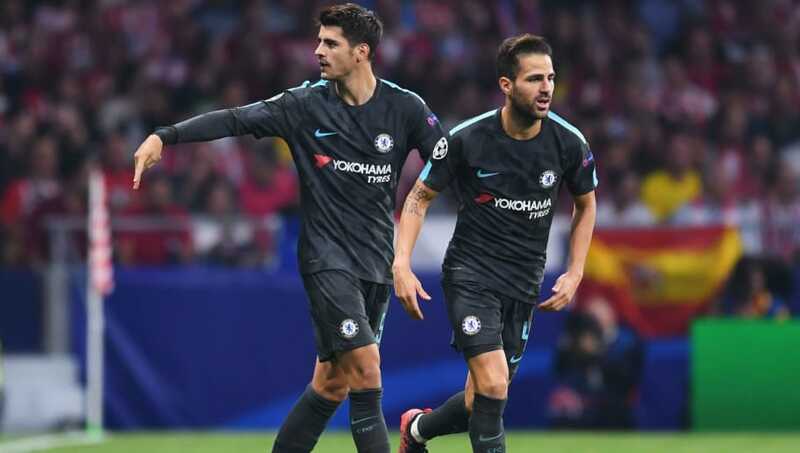 Fàbregas indicated that he understands Morata's frustration, and claimed that his emotion was because the striker is committed and eager to end his drought. "I think this happens to all the strikers, they want to score goals. That’s their nature. I’ve never felt it as it is not my game. But I feel for them when they don’t score goals, especially Álvaro as I have a good relationship with him and I know that he suffers as he cares a lot. "That’s very important he cares as he wants to do really well in football. Sometimes it happens and sometimes not, but I’m very happy for him. We believe in him, we believe in everyone. Definitely it’s up to him to keep trying as he’s doing and behaving in the way he does." He added: "His attitude is spot on and he always tries his best. We are delighted and hopefully this is the first of many." Chelsea were lacklustre in their performance against their Hungarian opponents, who threw several players behind the ball and made it difficult for the west London side to break them down. However, Fàbregas mentioned that they were relieved to make the breakthrough in a mostly forgetful encounter. "We know this type of game. They can be tricky if you don’t score early. We tried but they defended very deep, very compact. As I said you find it hard to break them down. If you don’t do it quickly then what happened can happen. "But at the end of the day we found our resources to score a goal. As I see the team tried, we put pressure up front and really tried our best. It was three points but probably no-one will remember this game again."